Mid-market companies across Asia Pacific have double-digit growth ambitions, significantly outpacing global peers according to the annual EY Growth Barometer. The study indicates that four in 10 companies across China, Southeast Asia and Australia, as well as 39 per cent of Singapore companies, are targeting double-digit growth, compared to the global average growth rate of six per cent. 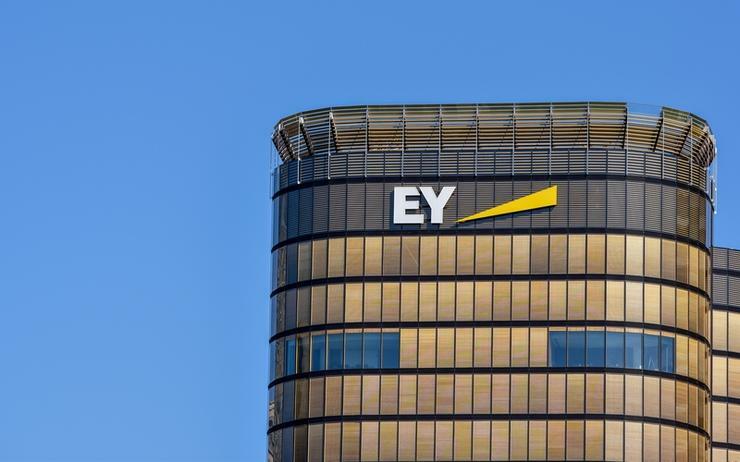 “We are seeing a rare synchronisation of growth across all major global economies that is boosting executive confidence, particularly led by the Asia-Pacific region,” said Annette Kimmitt, global growth markets leader at EY. "For the first time, middle-market company leaders are getting ahead of change and shaping their businesses through investment, expansion and prioritisation to ride the wave of opportunity." In fact, according to the survey 30 per cent of Singapore companies cited overseas expansion as a top growth priority to overcome the limitations of the small domestic market. Furthermore, 19 per cent of respondents cited M&A as a key enabler for growth, coming in second, suggesting an inorganic growth strategy is being considered by Singapore executives for international expansion. “Many Singaporean entrepreneurs are open to overseas collaboration,” said Choo Eng Chuan, global growth markets leader at EY. "This can take many forms. "For example, by selling part of their business to an external partner, they can access new markets and explore greater opportunities. "This may explain why strong alliances with external partners are the key path to boost agility for more than one in four of the country’s respondents." However, this strategy has its downsides, overexposing Singapore companies to global growth trends, with 41 per cent of local businesses perceiving flat global growth as the main external risk factor, compared to 25 per cent globally. Furthermore, insufficient cash flow was cited by 38 per cent of Singapore companies as another key challenge to growth, with 29 per cent seeing supply chain improvement and operations efficiency as one of the top growth accelerators. Another key component of growth was the adoption of technologies such as artificial intelligence (AI) into the organisation, as well as the availability and training of local talent. Technologies such as intelligent automation and machine learning are seeing as vital for continued growth and expansion, with the survey finding that Singapore ranked third in AI adoption at nine per cent, behind China and Netherlands who both come in at 10 per cent. However, the survey also found that 72 per cent of Singapore companies plan on introducing AI within the next two years. According to the survey, it appears Singapore is not at the forefront of technology adoption for more mature applications such as improving customer experience or creating new business models. Instead, 29 per cent see technology as a means to improve process efficiencies with 25 per cent financial data, rather than more innovative use cases, with 20 per cent seeing technological disruption as the greatest challenge to growth, behind cash flow. Another key pillar of growth is hiring skilled talent with three in ten Singapore companies say attracting the right kind of talent with the right skills as a top priority for their growth ambitions. This is driving organisations to grow their regional headcount, implementing attractive employment packages to attract talent to their organisation, an area which has become increasingly competitive. Forty per cent of companies are planning to hire more full-time talent while 39 per cent are looking for additional part-time employees, contractors or freelancers, with 54 per cent of Singapore companies believing that the ideal organisation is one that is able to attract younger and digitally-native talent. Furthermore, contrary to what is believed in some quarters, regulation can be a force that drives innovation, not stifles it, with Singapore putting in the effort to incentivise new ways of working. “The Singapore government has in place several fiscal assistance such as company grants for adopting productivity and technology, support for international expansion and R&D tax breaks, so as to encourage companies to venture into new areas,” said Choo. “In Singapore, there are many innovation incentives that have been kick-started by the government and taken up by local companies,” added Choo. The EY Growth Barometer surveyed 2,766 middle-market executives across 21 countries, with 103 respondents from Singapore.